Tough talk from the Harper government about radical environmentalists and foreign-funded adversaries seems to be generating support for the groups targeted by the attacks. Tough talk from Ottawa about radical environmentalists and foreign-funded adversaries seems to be actually strengthening support for those groups under attack. 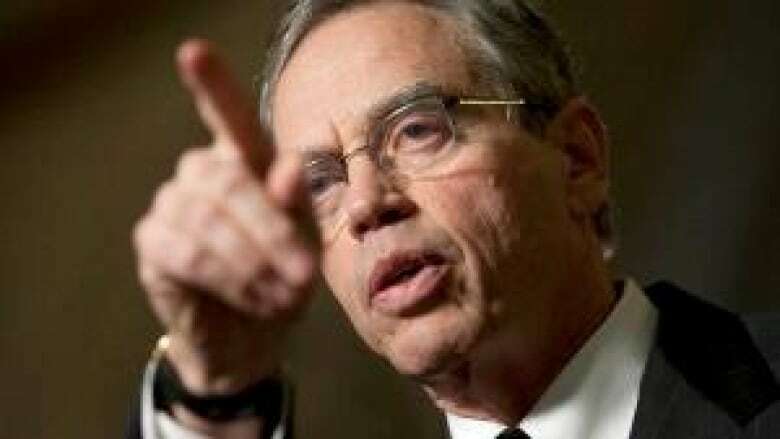 Environmental groups involved in the debate over Enbridge Inc.'s Northern Gateway oilsands pipeline to the west coast report that donations have soared in recent weeks -- especially after Natural Resources Minister Joe Oliver said U.S.-funded environmentalists and jet-setting celebrities are trying to hijack the regulatory hearings. "We've seen an unprecedented surge of support," said Emma Gilchrist of the Dogwood Initiative, a B.C.-based group which has received $12,000 in unsolicited donations since Oliver's letter. Dogwood also got nearly 25,000 new signatures on its anti-tanker petition -- more than it got all of last year. Traffic to its Facebook site increased 10,000 per cent. "We're quite disappointed to hear the things coming out of the federal government, but it has brought people together," Gilchrist said. The Sierra Club warned its supporters in December that it could be a target during the Conservative government's upcoming review of charitable status. "We got 100 per cent more than we hoped for," said director John Bennett. "We usually bring in about $40-50,000 toward the end of the year. It was around $100,000 this year." Similarly at West Coast Environmental Law, said Jessica Clogg. "We've seen pretty consistently that not only have our existing supporters been galvanized by the statements of the federal government, but that new individuals are coming to our organization and indicating their support," she said. "We have received close to $10,000 in donations that appear directly linked to the current controversy since Jan. 2." ForestEthics, the subject of controversy earlier this week when a former employee quoted a second-hand report that a Harper official called the group an enemy of the government, put out an appeal Wednesday. Donations started coming in almost right away, said spokeswoman Valerie Langer. "It's not just that people are really concerned about climate and toxics," she said. "They're also furious about the federal government trying to limit our freedom to participate in major policy discussions." The David Suzuki Foundation and Ecojustice also report modest increases in donations since the new year. And the environmental think-tank The Pembina Institute has seen the rate of new subscribers to its electronic newsletter triple since January. "There's a real appetite among Canadians who listen to these allegations for reliable information," said director Ed Whittingham. "They're turning to us." Controversy appears to be good for fundraising and it works both ways. When Chiquita Brands announced in December it would avoid the use of oilsands-derived fuel in its transportation fleet, Ethical Oil spokeswoman Kathryn Marshall said she was "flooded" with donations and messages of support. U.S. data suggests that environmental organizations raise more money when Republicans are in the White House, said George Hoberg, a University of British Columbia political scientist who's studied such issues for years. "I'm not surprised the Joe Oliver remarks have created a strong backlash," he said. "What it's done is it has politicized moderates on energy and environment issues. "The Harper government strategy with regard to environmental groups has unfortunately dramatically increased the polarization of energy politics in Canada. The Canada characterized by compromise is not Harper's Canada."